Time to pull out the Grapple Launcher again! Anybody else see this as a nod to Darks Souls' Black Knight NPCs? 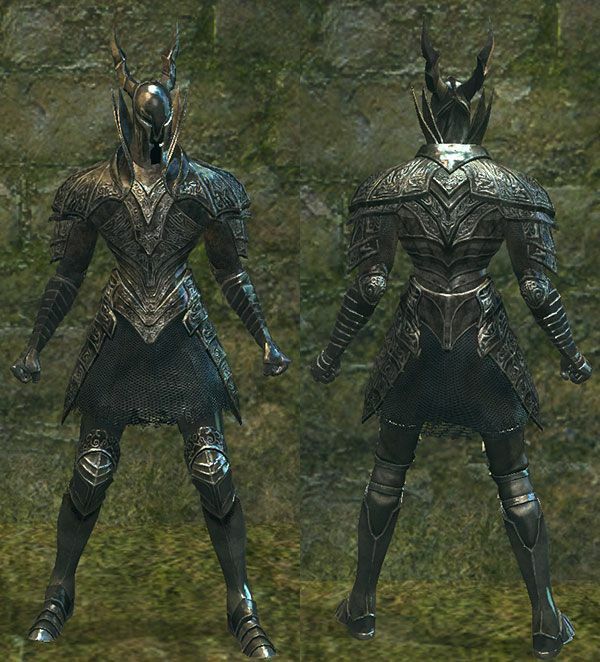 Any ideas on what I could pair with this helm to achieve "the look" as a Warrior? Seems a few of these items are Pally/DK-specific.